Vivian made her return to Salem. She decided to crash Abby’s party and she brought someone with her. We will get to that shortly. Vivian was someone who caused quite a bit of trouble during her times in Salem. We weren’t sure if she would ever come back after the last time she was in Salem. Ron C. decided to bring her back for a little while. She was involved with Kate, Andre, Chad, and Abby. We enjoyed her putting Kate in her place about the way she treated her sons as opposed to how she treats Chad. We are looking forward to seeing her go head to head with Kate. Vivian was back in town because she wanted her son to take his rightful place at DiMera Enterprises. If you think we are talking about Philip, you are wrong. She suddenly had a child with Stefano. She brought her son Stefan to Salem so he could run DiMera Enterprises. We understand that Ron C wanted to surprise the viewers by expanding the DiMera family again, but the surprise didn’t make sense. Vivian was in Salem again, but never mentioned having another son. She saw Philip and was obsessed with him. She didn’t say anything about having him. His age isn’t right if you go by her story of when she had him either. She claimed she had him during the time Stefano used her. If that’s true, he should be younger than he appears. She also could have mentioned having a son the last time she was in Salem. Speaking of Stefan, we hope that he’s a character that gives Chad a run for his money. Chad has been on his high horse for too long and needs a formidable enemy in Salem. Chad likes to throw his weight around as if he’s Stefano so hopefully Stefan will knock him down a peg. He took Chad’s job before he could sit in the office chair so that is a good start. We already know he’s going to go after Abby. We see that happening so we won’t be surprised when it occurs. We had a feeling that Andre was working with Vivian to gain control over the company. Andre’s reaction to Stefan made us suspicious that he was working with Vivian. We hope Andre pulls off his plan because Chad is too smug and is always willing to turn his back on Andre. We can’t wait to see the look on Chad’s face when he finds out that Andre took everything from him. Let’s move on to Will and Sonny. Will told Sonny that he kissed Paul. 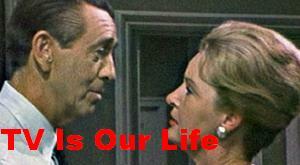 He also told Sonny that he didn’t want to be married to him while he couldn’t remember anything about his past. Sonny begged and pleaded with him to work things out, but Will didn’t want to do it. Sonny got what he deserved because he was so cruel to Paul when he wanted to work things out. Sonny needed the same treatment that he gave Paul. It was funny watching Sonny beg Will to work things out only to be rejected. Karma is a funny thing and Sonny found out the hard way. Do the writers want us to root for Brady and Eve to get together now? Didn’t they jump into bed too soon considering they hated each other? What’s the point of this plan? Is Brady using her or is he falling for her? Why was Hope okay with Ciara drinking? She should be 19 just like Theo so you would think that Hope would have told her about being too young to drink. Why was there a reference to Daniel’s death, but no one mentioned the anniversary of Bo’s death? That would have explained why Hope didn’t want to get married and why Ciara was lashing out at people.